Ten years ago, California passed The Global Warming Solutions Act of 2006, better known as AB32. 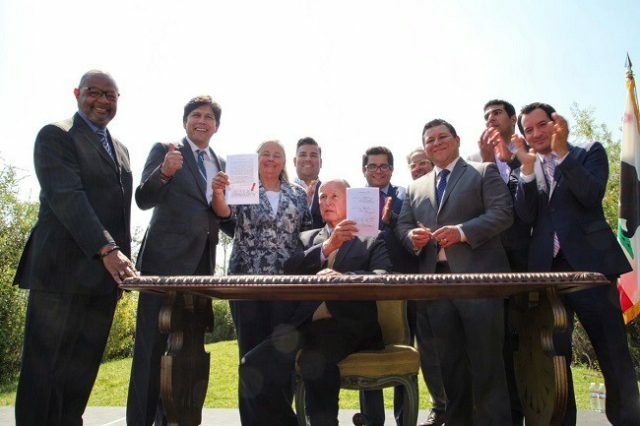 This bill launched a comprehensive greenhouse gas (GHG) reduction plan into motion, one that required California to reduce its emissions below 1990 levels by 2020, a 15% reduction from a business-as-usual scenario. Many applauded the state for committing early on to climate change mitigation, but AB32 also had many vocal critics, particularly from environmental justice (EJ) advocates. EJ groups even brought a lawsuit against California’s Air Resource Board (CARB), delaying implementation of part of its program until 2012. Of concern was one of its main mechanisms for reduction — the creation of a carbon market known as “cap and trade.” A cap and trade system places a ceiling or a cap on how much a pollutant can be emitted for a geographic area, either a region or a state, depending on the scope of the program. Allowances are either freely distributed or auctioned to companies and can be traded among different firms. These allowances are permits that allow facilities to emit a certain amount of pollutant, usually one ton of pollutant per allowance. Facilities are compliant when they surrender enough allowances to meet their emissions at the end of the reporting period. 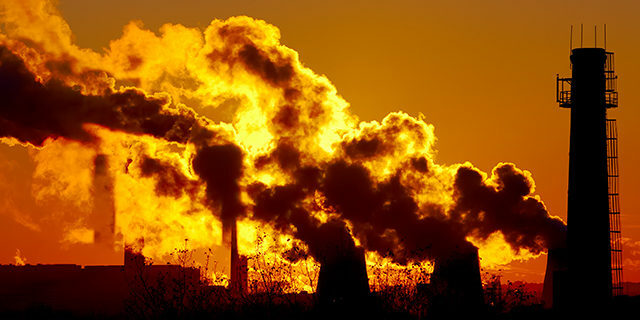 It is known that market-based mechanisms for carbon reduction like cap and trade do not guarantee emissions reductions, leaving it up to the market to determine who sees reductions and where those reductions happen. This mechanism, in its simplest form, favors economic efficiency over distributional equity. Put another way, it provides a compliance path of least economic cost to polluters, leaving open the possibility for EJ communities to experience an increase in carbon pollution and dangerous co-pollutants emitted alongside carbon, or just as importantly, for levels to stay the same. The latter is seen largely among EJ advocates as a lost opportunity to reduce pollution in EJ communities. It would mean, once again, that people who have historically been overburdened by pollution will lose out on an opportunity to join the climate revolution and enjoy its benefits. Both SB32 and AB197 were signed into law by the Governor Jerry Brown on September 8th, 2016.
are more than twice as likely to be among the worst statewide in its CalEnviroScreen score, a ranking based on social and environmental stressors to health. The timing of this study couldn’t be better. Direct and mandatory pollution reduction is critical because cap and trade does not seem to be making any difference for our most vulnerable communities, other than, in this instance, exacerbating the problem. California has been at the forefront when taking steps to address environmental justice concerns. The state recently debuted its EJ screening tool, CalEnviroScreen, which has been used to identify disadvantaged communities to inform policy development. Overburdened communities have received monies generated from the cap and trade program’s auctions, as promulgated by SB525, to be used toward energy efficiency, affordable housing, low-carbon transportation, and public transit. But these policies do not compare to the potential benefits of AB197 because, once again, there needs to be a premeditated and intentional approach to pollution reduction. In the aggregate, states like California and the country as a whole may be meeting their climate goals with the “least cost” approach of cap and trade. But this least-cost approach does not consider social and human health costs. Instead, that burden is placed on communities in the form of increased risk of premature death and rates of asthma hospitalizations. Policymakers need to prioritize the health and well being of EJ communities and have industries internalize these social costs because it is clear that cap and trade on its own, designed without equity and fairness in mind, is not leading us into a cleaner, healthier, future for all. Mary Pham is a Federal Policy Fellow at WE ACT for Environmental Justice and an Environmental Justice and Science Research Assistant at the Union of Concerned Scientists. She graduated with a B.S in Public Health from Stockton University and is passionate about issues at the intersection of health and sustainability.